Nedco - Castile Construction, Inc.
One of Lane Counties best kept secrets, in our opinion, is NEDCO. A non-profit organization located in Springfield and helping the community through providing low income housing, first time home buyer assistance, help starting small businesses, and Sprout, a commercial kitchen you can rent hourly. NEDCO has served thousands of people, helping them buy homes, stay in their homes, start small businesses and succeed financially. NEDCO has developed—through new construction, house moves, and renovation—more than 140 quality affordable homes for low-income, first time home buyers. With their intensive home buying classes, their number of first time home buyers grows each year. Castile Construction, Inc is proud to be apart of some of the amazing things this company does. 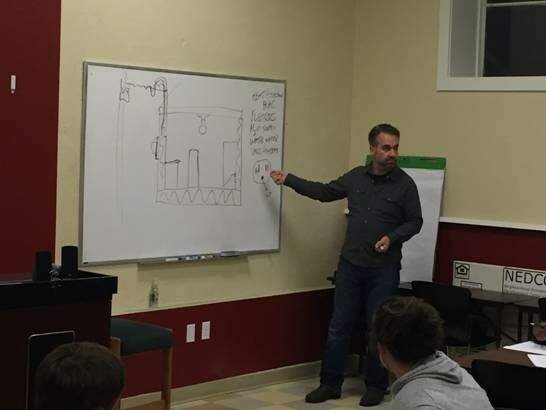 Owner, Forrest Castile teaches a class on basic home maintenance at Nedco for their first time home buyers every few months. The passion that Forrest brings to the class as well as wanting to help people protect their greatest investment makes it worth going through the first time home buyer program alone. With his extensive knowledge and engaging approach he can’t help but encourage classroom questions and comments. Even people attending his home maintenance class who have a good idea about how to care for your home will learn a thing or two before the class is done.